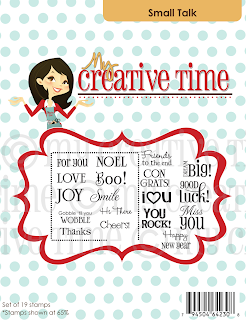 It's time for a My Creative Time "Monday Madness... Imagine That" design team post! For today's project, we are using our Imagines, but it's designer's choice! I had fun making some 3 1/2" cards using Emma's Small Talk stamp set, paper printed with my Imagine, and felt embellishments, along with coordinating envelopes. 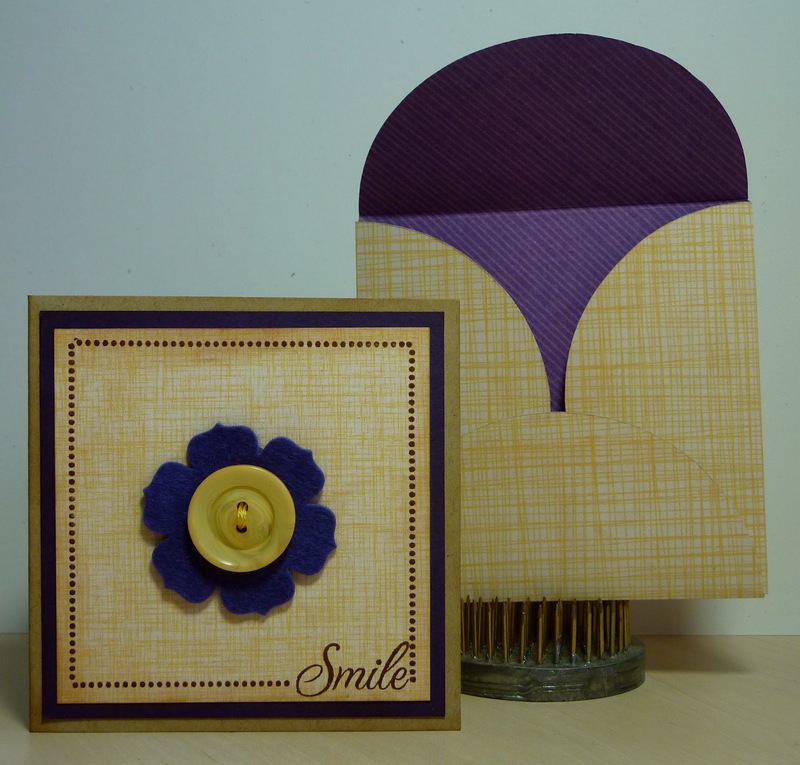 On each card, the dotted border and sentiment are from Small Talk. For each card, I used a 3 1/2" x 7" piece of kraft cardstock, scored at 3 1/2". The cardstock layer is a 3 1/4" square, and the patterned layer is a 3" square. For my heart card, I used a pattern from the Imagine More Cards Cricut Imagine cartridge. I also used Papertrey Ink Raspberry Fizz cardstock, felt, and ink. 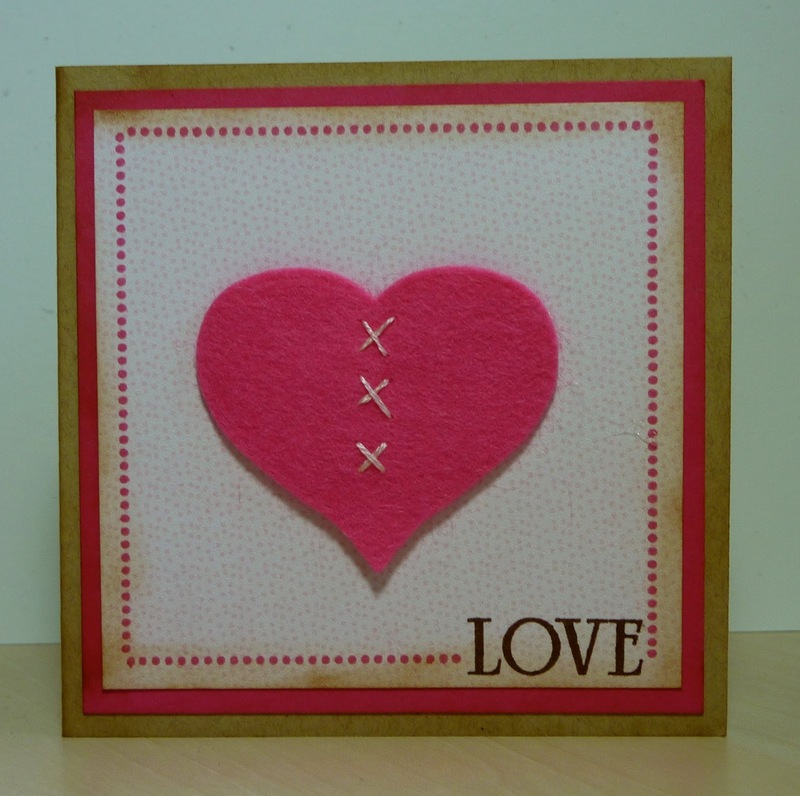 My cute felt heart was cut with my Cuttlebug using My Creative Time's Stitched Heart Die, which is included in the 100% Sweetness Stamp Set. I added some hand stitching using embroidery floss. 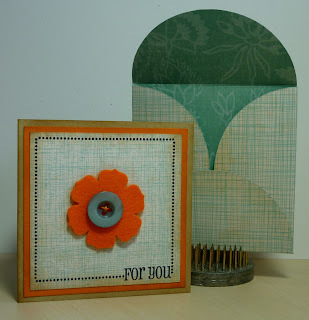 The patterned paper on this card is from the Best Friends Imagine cartridge, and I used Papertrey Ink Royal Velvet cardstock and felt, along with their Beautiful Blooms II #1 flower die. For each card, I made a coordinating envelope by caching my patterns and using them for a 7.3" envelope from the All Wrapped Up Imagine cartridge. I love to buy the thick stacks of DCWV or Recollections patterned paper from Joann's or Michaels to use for envelopes. The paper is very thin, which is what you need. For my envelopes today, I chose patterns that coordinated with my cards, and then printed the Imagine patterns on the other side, to get double sided envelopes. I love how they turned out! 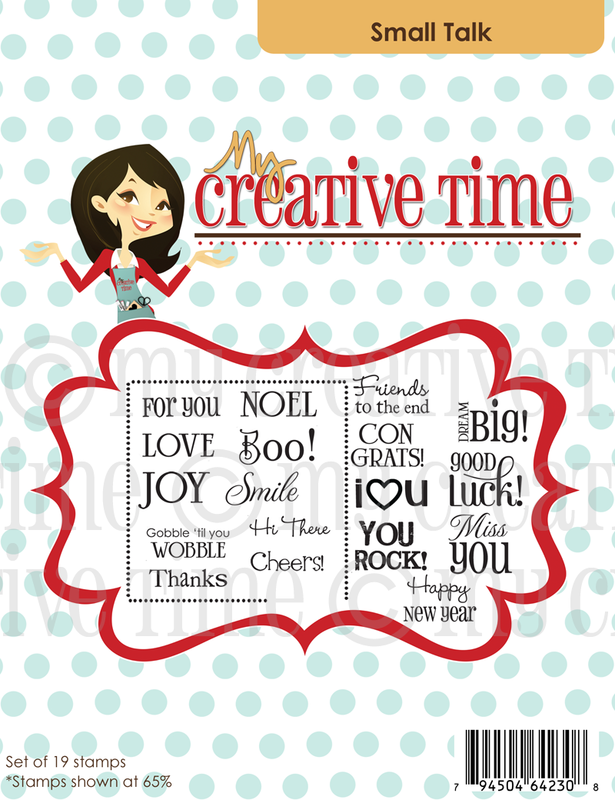 Be sure to stop by My Creative Time to see more fun Imagine projects Emma and the other designers have created for you! What a fun series of cards! Simple and easy! Great combination! These are soooo adorable! This cardset would make a great gift to send to someone special! Fab job Katie! katie, these are awesome! I love the way you've been incorporating felt in your projects!!! Love these cards! I just got Small Talk in the mail a week or so ago...now I want to go and "play"! Great creativity, Katie! Could make some cute card sets for gifts! What a FABULOUS set of cards! Beautiful job as always! Fun set of cards. Love the envelopes. I would appreciate a tutopial also. Your cards and envelopes turned out so beautiful...they are great! These are awesome Katie! Love the colors schemes and the use of felt. I don't even know where to begin! I just LOVE all of them! I LOVE the stiches in the stitched heart ~ GREAT idea. I LOVE all the felt, of course, but how bright and cheery it looks! I LOVE how you cache with your Imagine! I need to go and watch the video again! The envelopes ~ sooo LOVE how they match! Thank You for all the inspiration ~ ALWAYS!